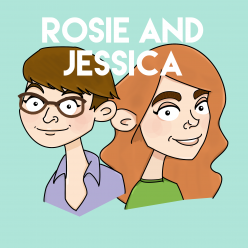 Jessica picked Who Loves You by Frankie Valli & the Four Seasons, while Rosie went for Carol Brown by Flight of the Conchords. Rosie has solved her three-ply problem and cast on the Rheinlust shawl. Finally decorated this year’s Simnel Cake. What a babe. Can you believe we live in a world where something as perfect as Amy Poehler and Nick Offerman hosting a craft competition is allowed to exist? Rosie was on Radio 4’s Film Programme discussing Nora Ephron.